It's been a while I know, the bf arrived here this week so we've been busy tourisiting our way around weymouth. He had to have a Rossi's and a scone from the lobster pot, I've gotten nice and brown now and I've managed to avoid getting too badly burnt. 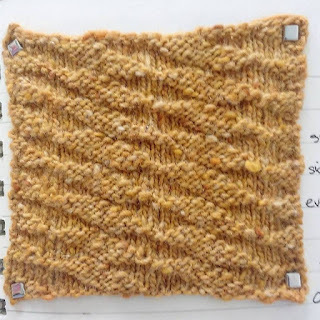 The weather isn't looking very good the next few days though, so I've been trying to organise the swatches I've knitted up by weaving in a lot of ends, and have been putting a few in the book today; I am however out of brads again so I can't write up any more. 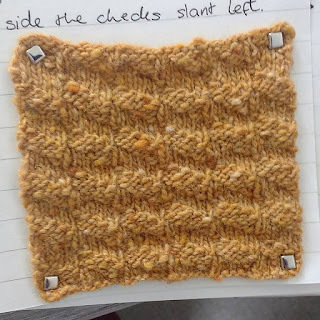 I have also just finished the ribbing chapter, so I'm skipping on to the slip stitch chapter as I feel there are more fundamental ideas in that chapter than in the colour change chapter, which seems to require knowledge from later chapters in the books. I did bring an extra book so after writing this up I may start lining the pages of it. Anyone been watching new Rick and Morty? 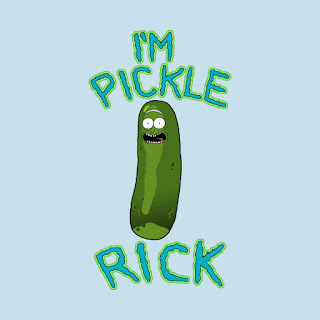 I have to say Pickle Rick may be the best episode they've ever done, "I'm a pickle Morty! 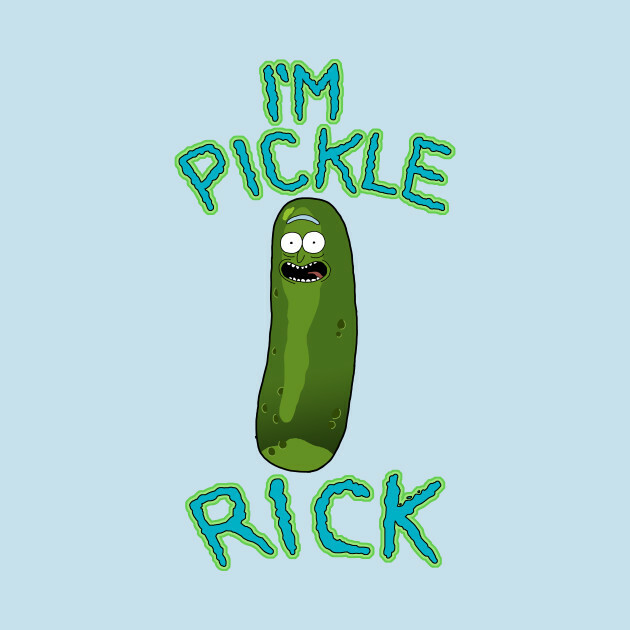 I'm pickle RIIIIIIIICK" I may have to knit a scarf with that on with pickles as a border, but I already have enough scarves and I hate giving my knitting away (curse my selfish knitting). 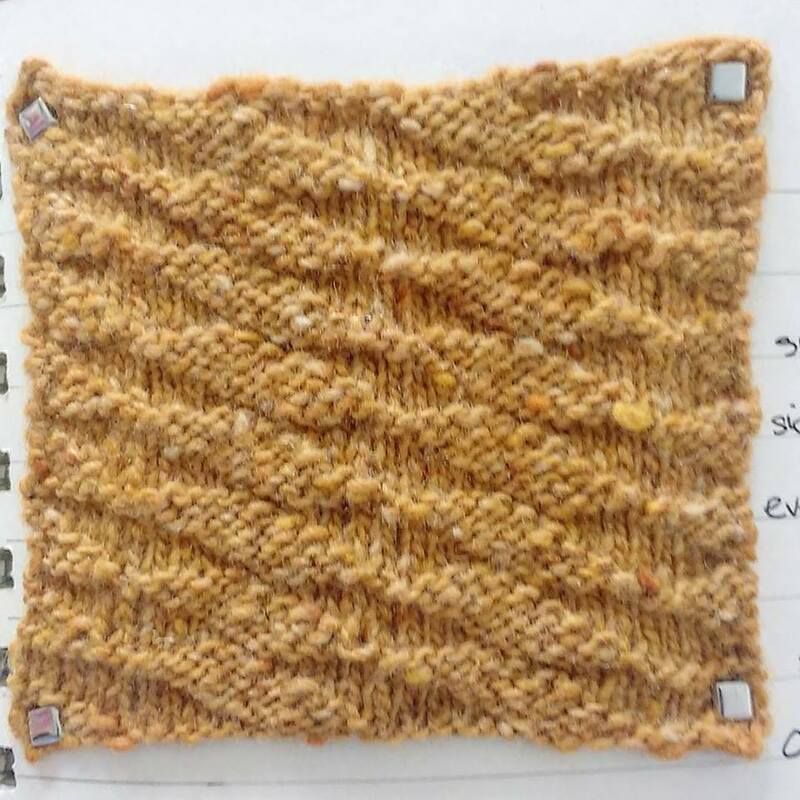 Anyway on with today's stitch, as recompense for taking so long I'm going to post both the horizontal and vertical version of this pattern at once. In the vertical version the sides are stagiht, and the slanted edges are the top and bottom; where as the top and bottom in the horizontal version are straight and the sides are slanted. In both versions the checks slant left if the odd rows are the right side, and the checks slant right if the even rows are the right side. 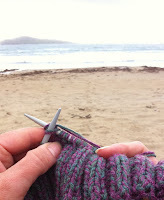 The back of the pattern should be used if used in an object with two panels with a common center. Vertical Parallelogram Check. Odd rows right side. Horizontal Parallelogram Check. Odd rows right side. The use of parallelogram shaped welts is certainly unusual if very attractive. It's worth noting that the vertical check tends to pleat gently if left unblocked, and the horizontal check has a natural wave across the fabric if left unblocked. The next two patterns we'll be doing are pretty easy, but once we get into the omplicated chevron patterns and pyramids the patterns tend to get really long. It's also harder to find some of these patterns are online, (although most appear to already be on knittingfool) hopefully you'll be patient as it takes a while to finish one round of the longer patterns. In general they are worth it however as they are very pretty. Happy Knitting!